Recently, I've been trying to lay low on coffee, and it has been an absolute struggle. 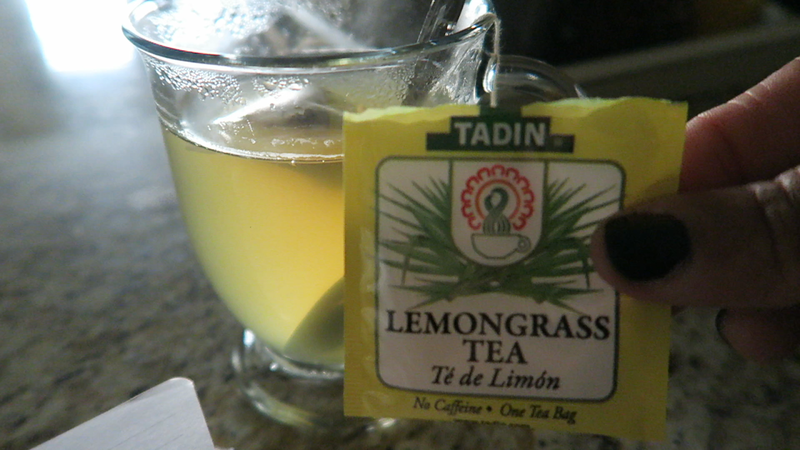 But my daughter bought me some Tadin lemongrass tea, and I have been sipping away. Now it doesn't take the place of my vanilla bean hot or cold coffee. But it has been my go-to drink to relax and unwind in the evenings. I know it is a herbal tea, but I have not tried it long enough to give any health benefits from using it. As for the taste I love it, and it has a pleasant lemon and earthy aroma smell that is soothing when drinking and I only added honey to mine for a light sweet taste. Let me know if you've tried Tadin before? Over the weekend I had a chance to hang with my family at the local market. My intentions were only to walk around and sightsee for fun. But, I couldn't resist shopping and buying things I really did want and need. 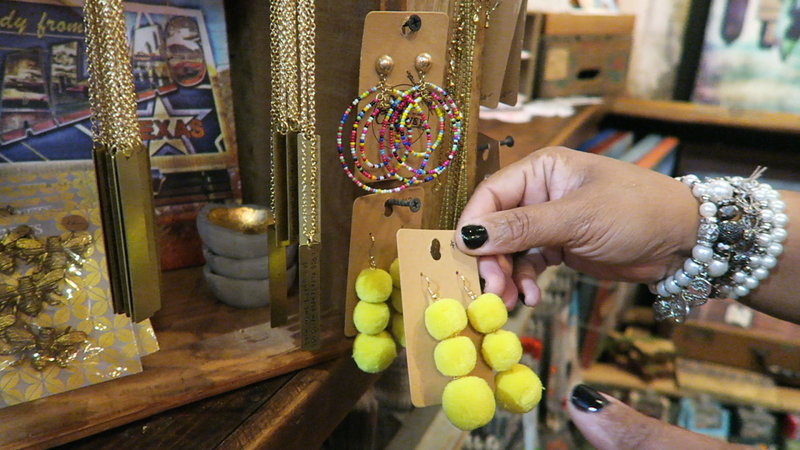 I love unique jewelry, but when I saw these pom earrings, I had to have them. I know what you are thinking, I could have made these. But, I am supporting the locals and putting money back into the economy. Ok, and I hope that justifies why I was spending money...lol. That is what I told my husband. But, all jokes aside it does feel good to buy from another talented artist. 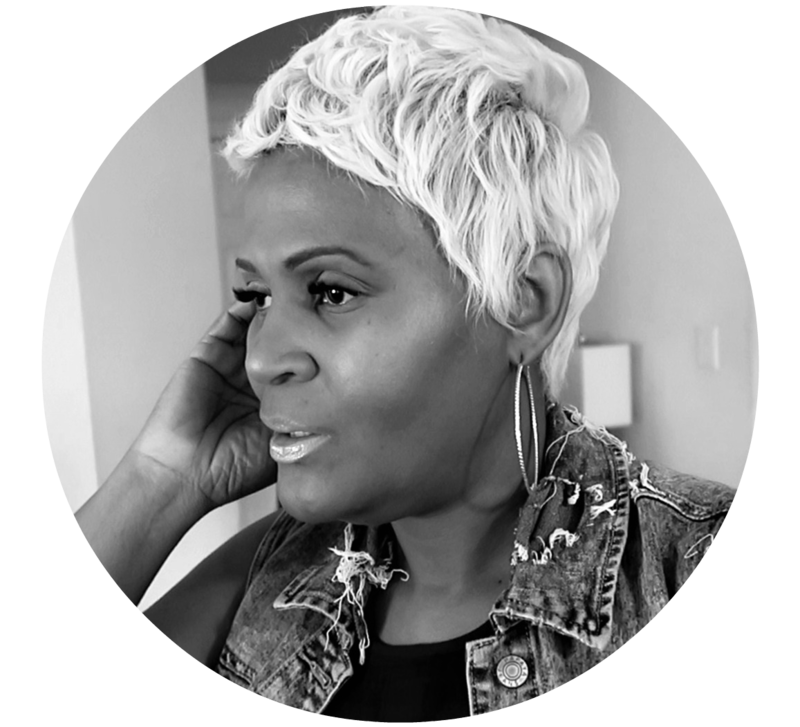 Trust me I know the struggle when trying to sell something, so I love to buy. Besides, it really does warm my heart. One thing I purchased this weekend is a new mascara. 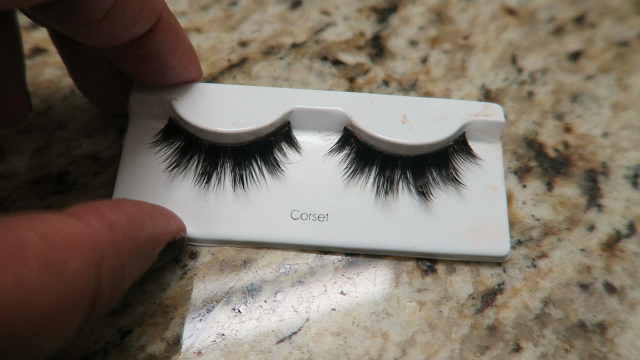 I am trying to get away from wearing my lashes so much throughout the week. So, I am trying the bold black great lash by Maybelline. 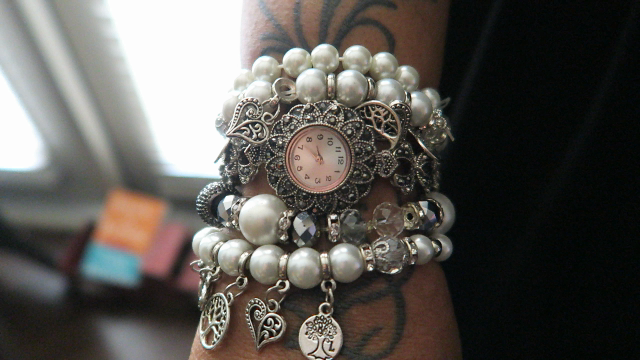 I have not used it yet, but I will do a full try- on and review in a later post. I may pick up a few more so I can see which one gives me the most volume. So stay tuned for that also. Let me know of any good mascaras you recommend? Well, there you have it my weekend and a few bits in between. How was your weekend my friends? Leave comments I love talking to you guys. Oh in case you have missed it I am now on YOUtube, and you can catch something different over there if you fancy too. I love your weekend Bits!! Keep up the good work, hope you have a Great Day!! I had an amazing weekend! I was able to get my favorite coffee, catch up on some studying and eat some amazing Frito Pie! And I love your Youtube! Def has some amazing stuff over there!